Quickly transfer and share files across devices without compatibility constraints, regardless of the operating system. QNAP offers a wide range of 10GbE-ready NAS as an affordable and reliable storage solution for 10GbE environments. Always keep your data secure. 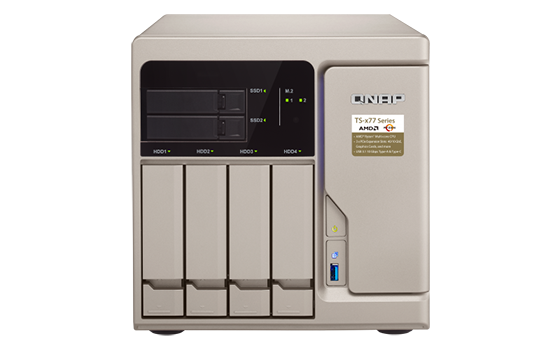 QNAP NAS supports several secure networking protocols such as FTP, HTTPS, SSH/SFTP. Accelerate your performance with a wide range of processors, RAM, and connectivity options, as well as SSD support for caching and tiering. Safeguard your data with added redundancy for all of your files with RAID protection. 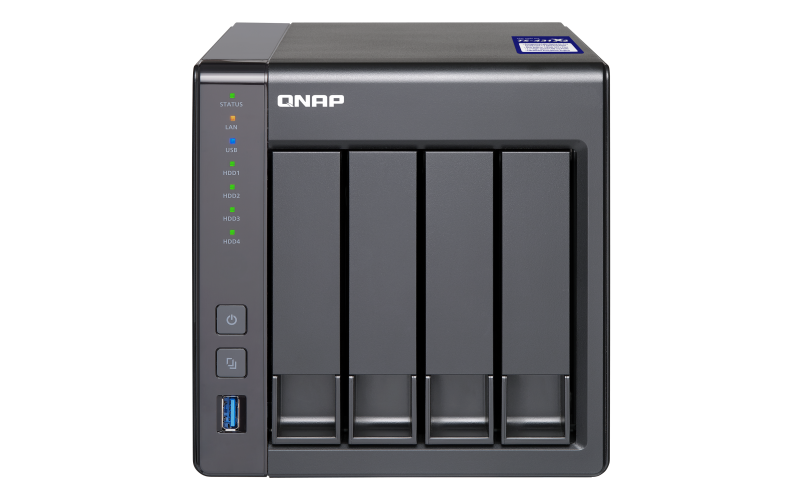 QNAP NAS supports all standard RAID configurations. 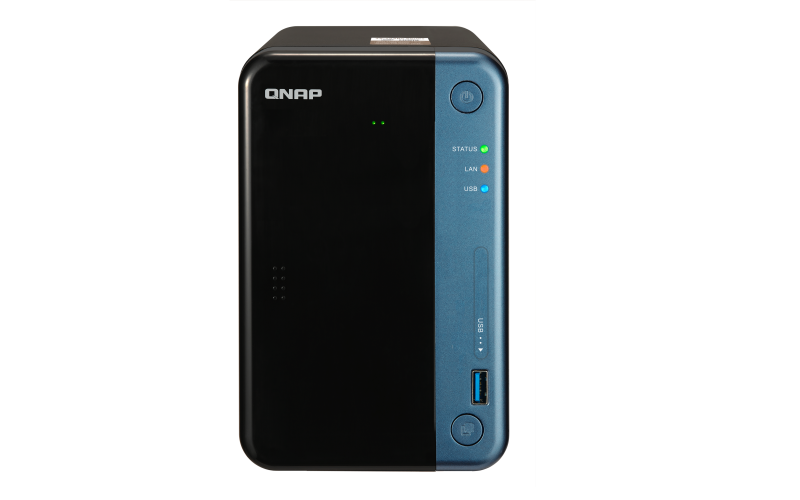 QNAP NAS makes virtualization easy. Easily run multiple VM’s with QNAP’s powerful Virtualization Station. Additionally, QNAP NAS is VMware® vSphere™, Microsoft® Hyper-V®, and Citrix® XenServer™ Certified. Empower your Home Media Hub with QNAP NAS. Use Video and Music Station to play all of your content, and access it anywhere. When you want to watch your movies, Qmedia for Roku and AppleTV makes it easy . 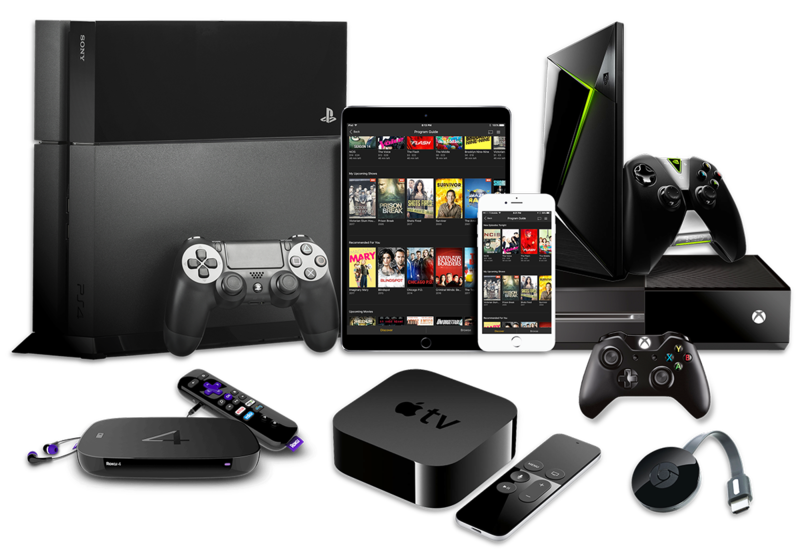 Even stream directly to your Chromecast, Amazon FireTV, Xbox, and PlayStation. Plex Media Server is fully supported to bring you an even more robust Home Media Experience. Leverage QNAP’s expansive storage capacity to build a home for all your content. Power your Smart Home using QNAP, Alexa, and IFTTT, which allows users to link various Internet-connected devices/services to create simple but powerful cross-app workflows. 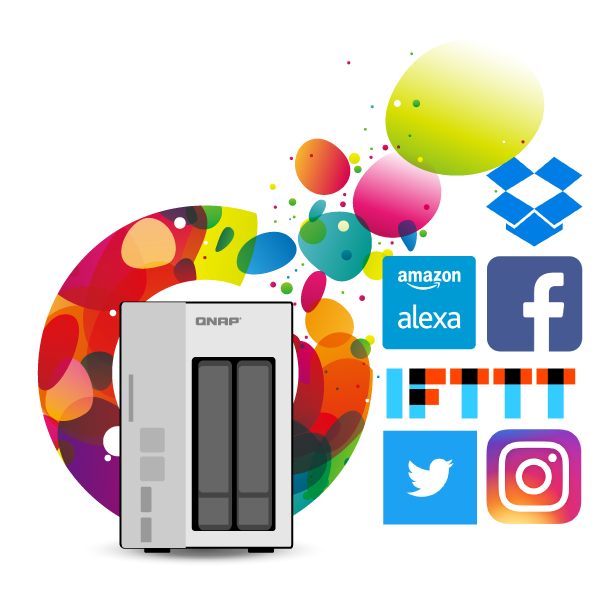 QNAP applets for IFTTT include automatically backing up your FB or IG photos on your NAS after posting, saving all your Tweets to text on your NAS, backing up your Dropbox files to your QNAP, and other cool applets. With myQNAPcloud, your NAS is now your own private cloud. Access your files anywhere, and on any device. Rather than pay monthly or yearly fees to a public cloud service, QNAP NAS gives you own your own private cloud storage. 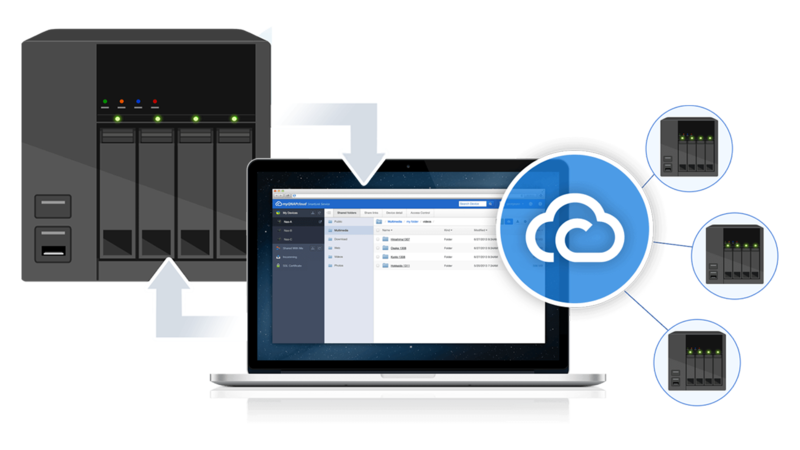 Remotely access all of the features QNAP NAS offers, including Plex, Virtualization, and more. myQNAPcloud ensures your data is private and secure, yet accessible anywhere. QVPN provides a secure way to access a network at a remote location, yet still appear local. 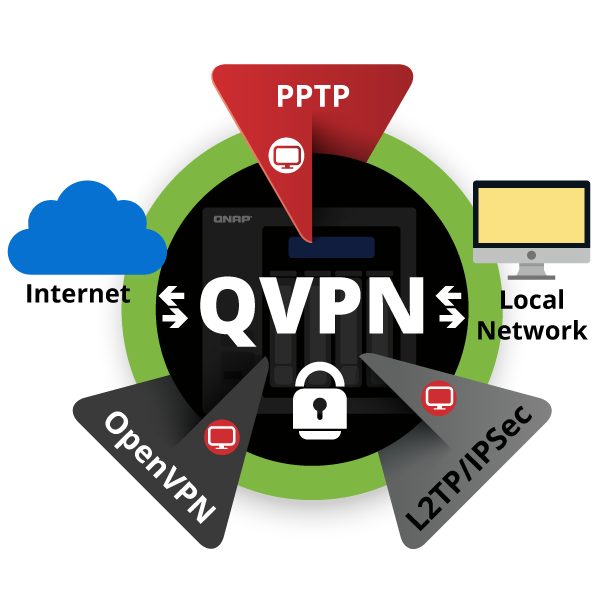 QVPN can be used to create a VPN client that connects to a remote server or third-party provider to access content or services.Additionally, even turn your QNAP NAS into a VPN Server with PPTP, OpenVPN or, L2TP/IPSec services to allow connections from around the world. 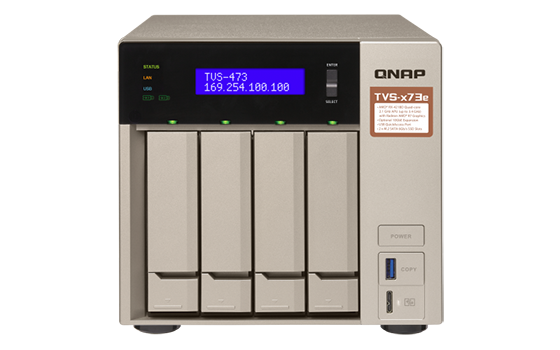 QNAP NAS makes running multiple Virtual Machines on your NAS easy. QNAP’s Virtualization Station lets you run and manage all of your VM’s, in an easy to use interface. Clone, import, export, and take snapshots while easily allocating hardware resources. GPU-Passthrough in Virtualization Station supercharges your VM’s graphics performance. And with Vmware, Citrix, and Hyper-V Ready certification, your QNAP NAS supports nearly every virtual environment. QNAP Container Station exclusively integrates LXC and Docker® lightweight virtualization technologies, allowing you to operate multiple isolated Linux® systems on a QNAP NAS as well as download apps from the built-in Docker® Hub Registry. Download from a huge variety of applications and operating systems.